It’s the new year, and a lot of people have started new diet plans. But too many dieters haven’t discovered the low-carb and ketogenic diets, which actually have loads of scientific backing. Plus, these diets are good for our brains. Writers need healthy brains. Here is a breakfast recipe that is easy to prepare, even in the morning. This is a cereal that you can assemble ahead of time. Start out by getting 3 to 6 containers. You can use disposable plastic storage bags. Or you can buy a dozen Ball brand 1/2 cup jelly jars. If you can’t find the 1/2 cup (they are not easy to find, buy online) you can use 1/2 pint jars (1 cup). Or you can use small plastic containers. 1 T (or 1/2 T) ground flaxseed meal. Put the lid on your containers and put away in a kitchen cabinet. To make a serving of cereal, get out a suitable small cereal bowl, and empty the contents of one container into it. ADD one thin pat of butter. Put on your teakettle and get some boiling water. Add 1/3 to 1/2 cup of the boiling water to your cereal bowl. Make sure that the pat of butter gets hit by the hot water. Let the cereal sit 1-2 minutes. Add 1-2 Tablespoons heavy whipping cream. If you want a sweet taste in your cereal, add a bit of liquid or powdered stevia sweetener. If you buy English Toffee flavored liquid stevia, it gives the cereal a bit of brown sugar flavor. Add a pinch of cinnamon to it for a real taste treat. The flaxseed meal is very good for you— but it does add a slippery texture to the cereal. Which is why you can cut the amount to 1/2 T. Or less, if you have a low-carb eater in the family that is fussy about this. But I’ve learned to put up with the weird texture of the full 1 T amount, and I like it just fine that way. This recipe is based on Dana Carpender’s Hot “Cereal” recipe in her Fat Fast Cookbook. I’ve just added some butter and chia seeds and the make-ahead concept. Which is a natural since it is just as easy to prepare 6 servings as it is the single serving in the original recipe. The one hard thing about the low-carb and/or ketogenic lifestyle is that it requires a lot of cooking, which leads to a lot of dishwashing. Which is something I can’t always face in the morning. So I make cereal ahead of time, and then I always have some acceptable food that I can prepare with very little effort. In low-fat and calorie counting diets, feeling hungry is GOOD. In low-fat and calorie counting diets, you eat whole grain toast without butter. In low-carb and ketogenic diets, you eat the butter but not the toast. In low-fat and calorie counting diets you are urged to eat a lot of sugar-filled fruits. In low-carb and ketogenic diets, fruit is something you avoid. You eat non-starch veggies instead. In low-fat and calorie counting diets the goal is to cut down on what you eat. In low-carb and ketogenic diets, the goal is to change over your metabolism to one that runs by burning fat. If you wish to avoid dairy and don’t like canned coconut milk, So Delicious Coconut Milk beverage is a tasty substitute. The green carton is the unsweetened one. Sometimes eating healthy can be a real pain first thing in the morning. All those traditional breakfast things— toast, French toast, Pop-Tarts, Cheerios, hot oatmeal— all now on our Not For Us foods list. But how about some pancakes? Tasty pancakes smothered in butter, perhaps with some sugar-free syrup? We can do that. Here is my favorite pancake recipe, which makes one serving of pancakes. Put all your ingredients in a small mixing bowl. Yes, even the butter/coconut oil, it’s part of the batter. Use a hand blender or mixer to blend the ingredients until smooth. You can also use a hand-crank egg beater/mixer if you are off the grid, but this will be harder work if you’ve used cream cheese. Heat up your frying pan for about 5 or 6 minutes. Then add the butter or cooking oil you will be using to fry your pancakes. Add the batter to the pan. 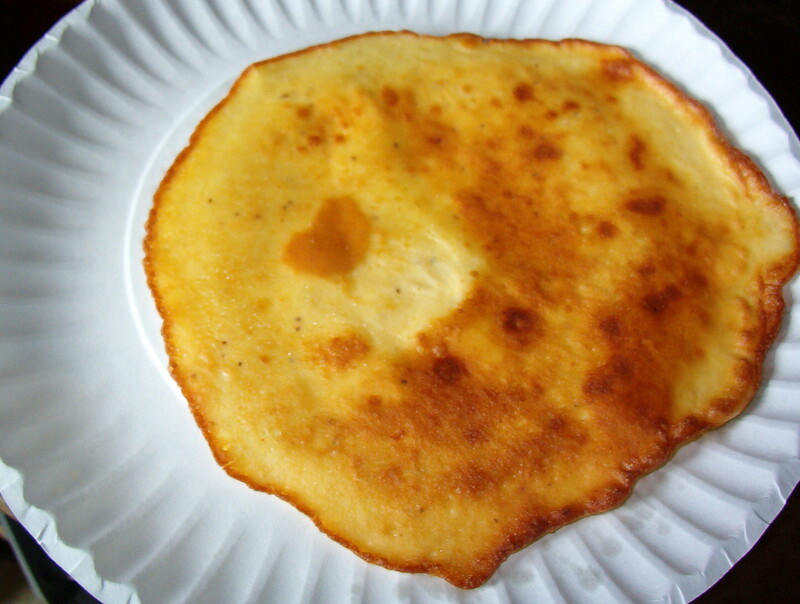 I have used this recipe to make a large pancake of the crepe/blintz variety, but for breakfast pancakes I used to make three pancakes. These pancakes are thin and hard to flip, so you might do 6 or so little ‘silver dollar’ pancakes. Since I fry my pancakes in butter, I pour leftover melted butter from the pan onto the pancakes once they have been put on my dish. Easier than putting cold butter on them and hoping for it to melt. You can use this pancake recipe for a variety of purposes. I’ve made a filled low-carb blintz with it. I’m thinking of making a hamburger/cheese filling and making a blintz version of my mom’s cheeseburger turnovers. Cottage cheese, cream cheese: don’t use low-fat versions of these. You need the fat to make you feel full, and to keep you in a state of ketosis. Most people on ketogenic or strict low-carb diets will find their cholesterol numbers improving on the diet, so don’t worry about the fat. If you are worried about the dairy— well, it is possible to make a yogurt out of coconut milk (the kind you buy in cans). Don’t use a low-fat variety of coconut milk, and check the labels of different varieties, some have added ingredients you don’t want in your coconut milk. If the coconut yogurt doesn’t work so well in the recipe, perhaps you could make coconut yogurt cheese— you put yogurt in a strainer lined with a coffee filter overnight, letting the whey (or whatever that stuff is) drain off. I have done this with home-made dairy-milk yogurt, but haven’t tried it with coconut milk yogurt. Dana Carpender’s recipe book 200 Low-Carb High-Fat Recipes has a recipe for coconut yogurt on page 51. I find her recipe books VERY useful, so I’d suggest giving her a try. Ground flaxseed: In the original recipe I adapted for these pancakes, it called for soy flour. I don’t care to put soy in my diet, except for soy sauce, so I have tried alternatives. Ground almond, pecan or walnut is nice but the batter will be thinner. Ground flaxseed plumps up the batter a bit. A little bit. Butter/Coconut Oil: You may have read old-fashioned recommendations to avoid butter at all costs. The up-to-date science says otherwise. And coconut oil is very good for a ketogenic diet— a diet which is proven to be good for your heart. Salt: When you stopped eating a processed food diet and started eating a healthy low-carb/ketogenic/Paleo diet, you cut out most of the sources of salt in your diet. Many of us when we start cooking healthy omit the salt. Don’t do this. Salt makes food taste better, and tasty low-carb food helps you resist the temptation to have ‘just a little’ processed food. Also, you can actually feel sick after a rapid switch from salty processed food to very-low-salt home-cooked low carb food. And your blood tests can show that your sodium is low. Here’s a keto/Paleo convenience meal that you make in your mug! Great for breakfast. Note on the bone broth: ‘reduced’ bone broth means that you’ve boiled it down a bit to reduce the water content and intensify the flavor. This is a good idea for storing the bone broth in the freezer. When the bone broth is stored in the refrigerator there may be a solid layer of healthy fats on the top. You will need to place the bone broth container (I use canning jars) in a pan of hot tap water to bring it to room temperature to melt the fat so you can shake up your bone broth to mix up the components. 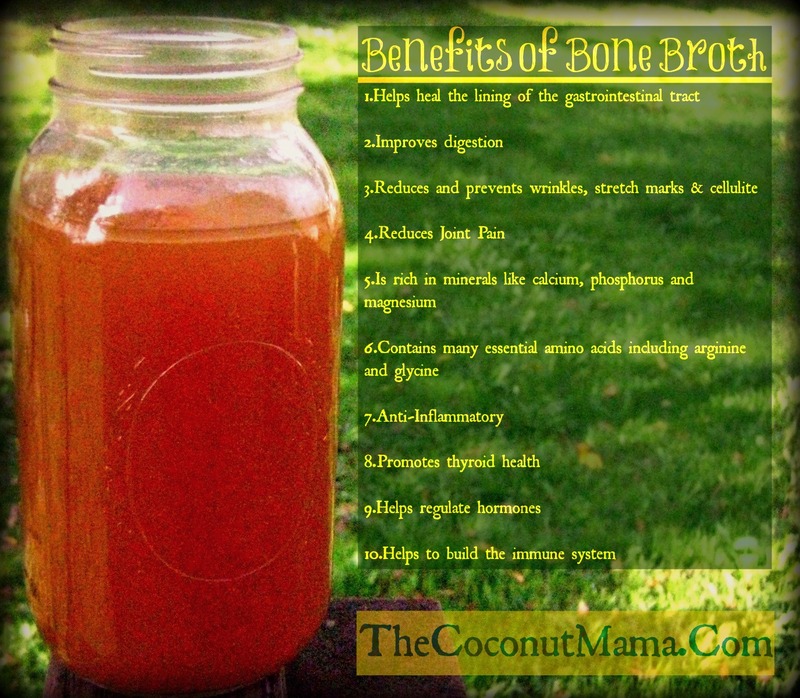 To make bone broth: google for ‘bone broth’ recipes. You can use bones from leftovers— beef, chicken, pork, lamb, goat, venison— whatever you’ve got. (Put a gallon-size freezer bag into your freezer and put in leftover bones to save up enough bones.) The version of bone broth recipe I use calls for cooking it 48 hours in a 3 quart crock pot. Substitutions: when your bone broth is all gone, you can substitute reduced grocery-store broth, reduced home-made vegetable broth, home-made dashi, or store-bought dashi or bouillon powder (which you probably can’t get without MSG). Keto diet questions? Read Keto Clarity: http://www.amazon.com/Keto-Clarity-Definitive-Benefits-Low-Carb-ebook/dp/B00MEX9B4C It, and other books like it, literally saved my life— I have diabetes with complications that made my doctor cut off my diabetes meds. My blood sugar, blood pressure and kidney test results have all improved as a result of the ketogenic diet. 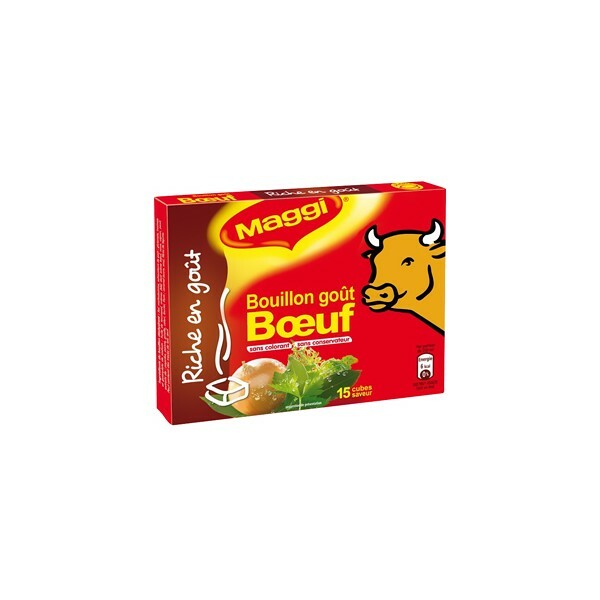 I can’t get cool-looking Maggi beef bouillon where I live. The book recommends using bouillon as a drink to help add back electrolytes/salt when you drop the typical American diet. Author Jimmy Moore also recommends adding butter to whatever you eat. This recipe is the result. Bouillon— cube or powder, enough for 1 cup, NOT the low-sodium kind. I have not been able to locate bouillon without sugar, but at least I found a brand without MSG! Add the bouillon, butter & optional seaweed to your cup. Add hot water. Stir. I was sick with flu-like symptoms from my flu shot when I first made this. I felt a lot better. NOTE: do not use this recipe if you are still on the Standard American Diet eating lots of pre-salted foods! This is for ketogenic and low-carb diets where you are essentially making all your own food at home (other than ordered eggs over-easy and bacon or ham at restaurants), and you are at risk for not having enough sodium in your diet. 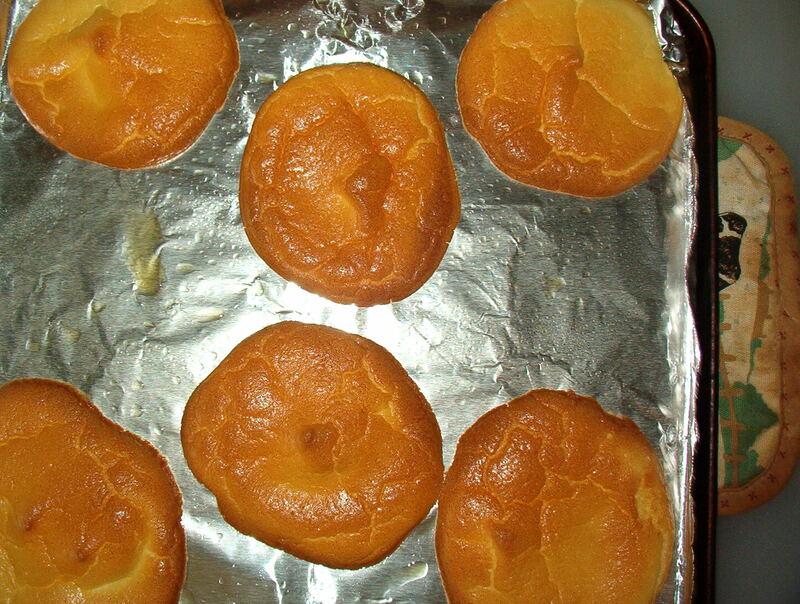 Cloud bread baked in muffin top pan. Haven’t done any low-carb lifestyle posts in a while. Very neglectful of me. So here’s what I’ve been making recently. 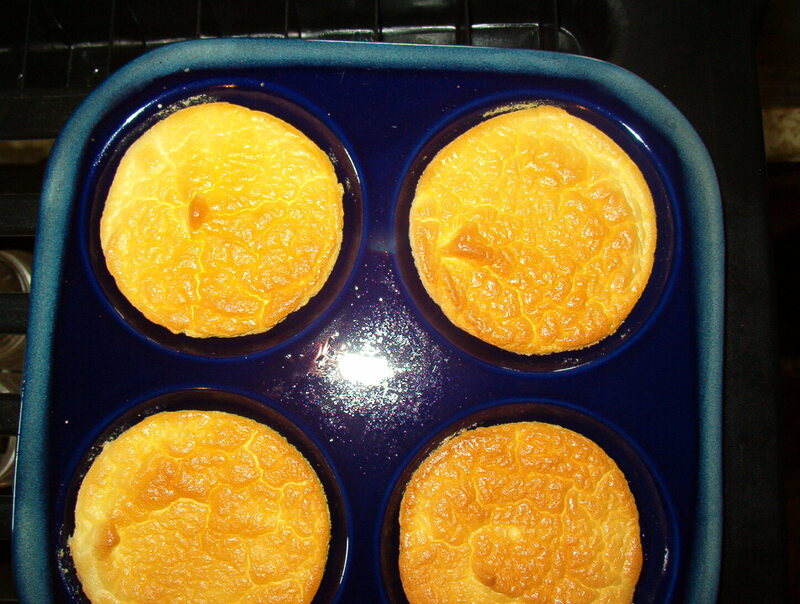 In the original Atkins diet book published in 1972, there is a recipe called ‘Diet Revolution Rolls’ consisting of separated eggs, cottage cheese and a pince of cream of tartar, total carbs 3.1 for the whole batch of six rolls.I tried a couple of times but it never turned out well until I bought a muffin top pan. Since I don’t have a working full-size oven, I use a convection oven and so had to buy a four muffin-top size pan to fit. This improved the rolls quite a bit, but since I put the full batter in the four slots I guess it came out a little thick. 3 Tablespoons cottage cheese or cream cheese, made from WHOLE milk, not low-fat or fat-free. Separate the eggs into 2 bowls. Not one speck of yolk can get into the white. If you are new to separating eggs, have a third bowl to separate the egg whites in to. That way you only ruin one egg white if you get yolk in. Set the egg white bowl with the 3 whites aside. Add the cottage cheese or cream cheese to the yolks, and the stevia packet. Use a mixer or a hand blender to mix well. (You will either have to wash the blades well, or else use a hand blender for this step and a mixer for the next. Now, set the yolk mixture aside and get out the egg whites. Add the cream of tartar. Then, beat the eggs with a mixer for a LONG time. Set your timer to 5 minutes. You want the egg whites to form fluffy white peaks. Mix the yolk mixture very carefully into the whites. Stir just enough to mix well. Now, prepare your muffin top pans. You must have enough pans for your ten bread pieces. If you don’t have enough muffin top pans, use a plain cookie sheet for the rest of the slices. Spray the pans with non-stick cooking spray (I prefer olive-oil based sprays). Bake in a preheated 300 degree Fahrenheit over for about 30 minutes. The time can vary— check near the end of the 30 minutes. Breads should be the color of a store bought hamburger’s bun. Put the bread pans somewhere safe to cool. You can take them off the pan if you like. When the breads are wholly cool, put them in an airtight plastic bag or plastic container. Use 2 of the breads to make sandwiches of all sorts, use them as buns for hamburgers or hot dogs. You can even buy take-out burgers and switch the nasty, sweet buns that they come with for these breads. Add things like a bit of minced onion, sauted, or some caraway seeds or poppy seeds. 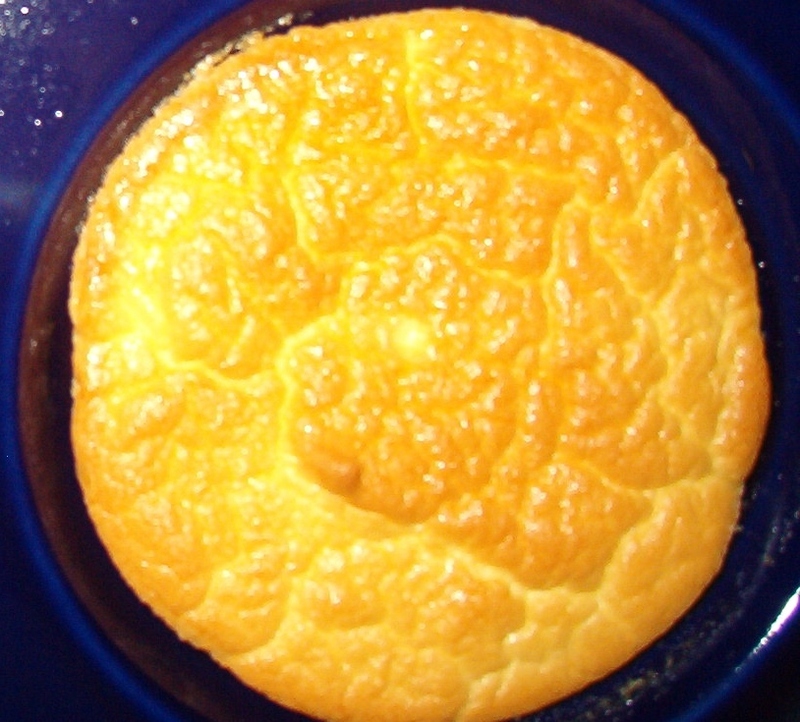 Cloud bread is good for low carb lifestyles and is also gluten-free. It’s not quite kosher on Paleo, unless you decide to do a ‘modified Paleo’ which allows dairy and sets severe limits on the fruits (because of the carbs). It is a good daily bread. If you have children, don’t buy ordinary bread for them even if you are compelled to feed them too many carbs in other parts of their daily diet. Get them used to low-carb daily bread and other staple foods of the low-carb lifestyle.